Claiming your Yelp page is an important action as the business owner or representative. Once claimed, you will be able to add additional managers and respond to reviews and other important aspects of page management. 1. 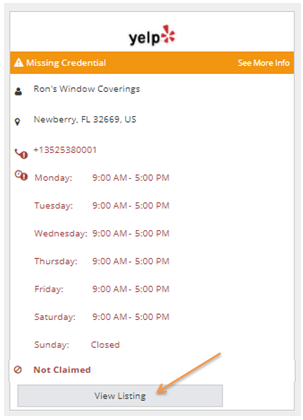 In your Local Business Listings dashboard, you can view the status of your listing and whether it is claimed or unclaimed. If you have not yet claimed your listing, select View Listing. 2. On your Yelp page, you will see an Unclaimed notice next to your business name. 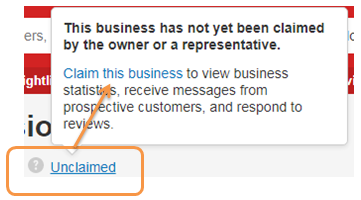 If you hover over the notice, a message appears letting you know that the business has not yet been claimed. You are prompted to log in with your existing Yelp business account or you can create one at this time. 3. 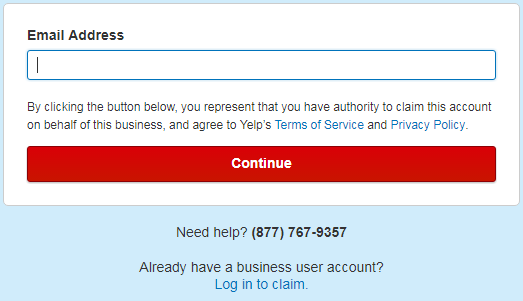 Once you are logged in with your account, you will be presented with the available methods in which you can verify your newly claimed Yelp page. In some instances, you will be given the choice to verify through email and in others it will be by phone or text message. 4. 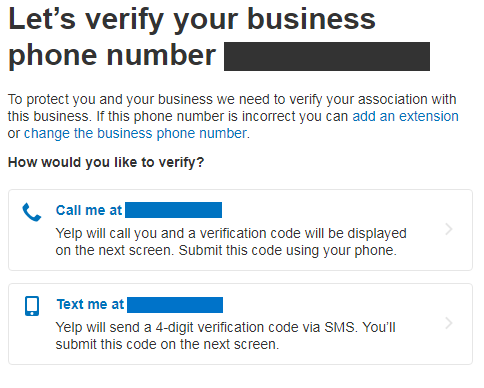 If you choose to verify through the phone, then you will need to enter a PIN that is provided by Yelp. If you choose to verify through email, then you will receive a verification email. The email will contain instructions on how to finalize the verification process. 5. Web.com will audit your Yelp listing daily to check for accuracy. If you would like us to manage your Yelp listing and proactively correct unwanted edits, please follow these steps. Congratulations! You have just claimed your Yelp page.